We’d love your help. 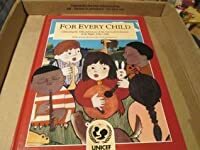 Let us know what’s wrong with this preview of For Every Child by UNICEF. To ask other readers questions about For Every Child, please sign up. does it have anything to do with internet safety? "The society? Not yet humane." This critically important book is a critically important step in reversing this situation; anyone who cares about justice, about morals and ethics, about the future owes it to him- or herself to read this book and then share it with at least one child. I'm auditing a course on the UN Convention on the Rights of the Child. As I was working on it, I kept thinking it would be great to have a picture book of this important document. Then I found this book. It isn't complete, but it covers the most important parts of the CRC. Each page features a different illustrator. It would be a wonderful complement to The Big Book For Peace and On the Wings of Peace. Highly recommended! Some of the UN Convention on the Rights of the Child's are paired with illustrations from different artists. The full declarations are included in the back. Why I love it: This book is so lovingly made it’s impossible not to love it. Each page has a full spread of the artists visualization of the right that is written below. Each page is gripping in it’s love and tenderness. A couple are cute, like the one where Rubette Cole paints a baby head just starting to bloom from a flower and in a progression shows how he grows up to be a young man running to start his own life. Most are serious children, beautifully painted, but all are happy and healthy. A Why I love it: This book is so lovingly made it’s impossible not to love it. Each page has a full spread of the artists visualization of the right that is written below. Each page is gripping in it’s love and tenderness. A couple are cute, like the one where Rubette Cole paints a baby head just starting to bloom from a flower and in a progression shows how he grows up to be a young man running to start his own life. Most are serious children, beautifully painted, but all are happy and healthy. And as Archbishop Desmond M. Tutu writes in the forward “In this book you will see many pictures of children as they should be—Happy, healthy, laughing, learning, holding securely to adults they can trust, who will protect and uphold their inalienable rights—the rights formally laid out in the UN Convention on the Rights of the Child. These are the rights of all children everywhere and always. 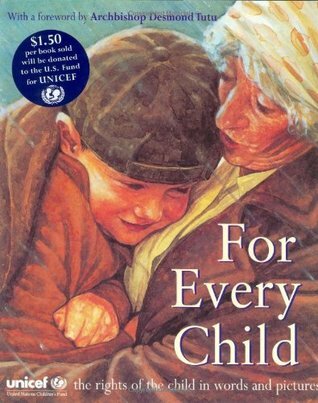 For every child, is a book promoting the rights of children in words and pictures. The book includes 14 of the 54 rights and explains to children how these apply to them. Each double page relates to a different right of the child and is supported by an illustration by a different author. The pictures are extremely clear and can be used independently to encourage thinking and discussion. 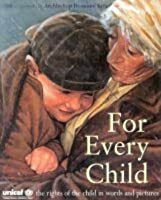 This non-fiction book could be used as a resource in PSHE as it could encourage children to think about these For every child, is a book promoting the rights of children in words and pictures. The book includes 14 of the 54 rights and explains to children how these apply to them. Each double page relates to a different right of the child and is supported by an illustration by a different author. The pictures are extremely clear and can be used independently to encourage thinking and discussion. This non-fiction book could be used as a resource in PSHE as it could encourage children to think about these rights and how they could apply them in their treatment of others. Children could also use these rights as a reflection point when they have behaved badly or mistreated another child. This book could be read independently or as a large group across the primary school. I like the idea of this book but have a problem with its failure to deal with children's participation rights - bored as all get out with the focus on protection and provision - these rights are meaningless unless we see them as offering children a way to be active agents of their own lives! Yes yes yes! The UN rights of a child distilled. A world that honors these would be a wonderful world indeed. Each page is from a different illustrator! Beautiful, love the different illustrators.